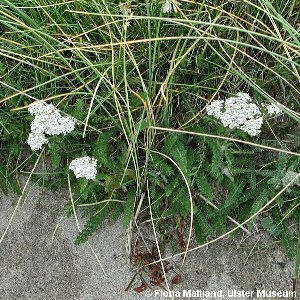 Yarrow is a common component of dry grassland in many situations. 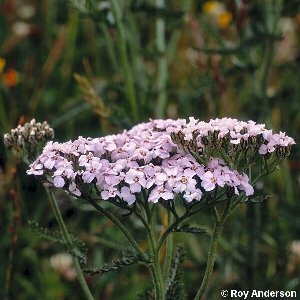 It has finely-divided leaves which are stongly and pleasantly scented when crushed. The flower-heads are like tiny daisies grouped together, normally white but occasionally pink. 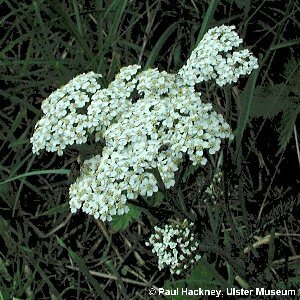 All names: Achillea millefolium L.